I've mentioned before, that if there is an event in the world that I can celebrate, that I'll join in. 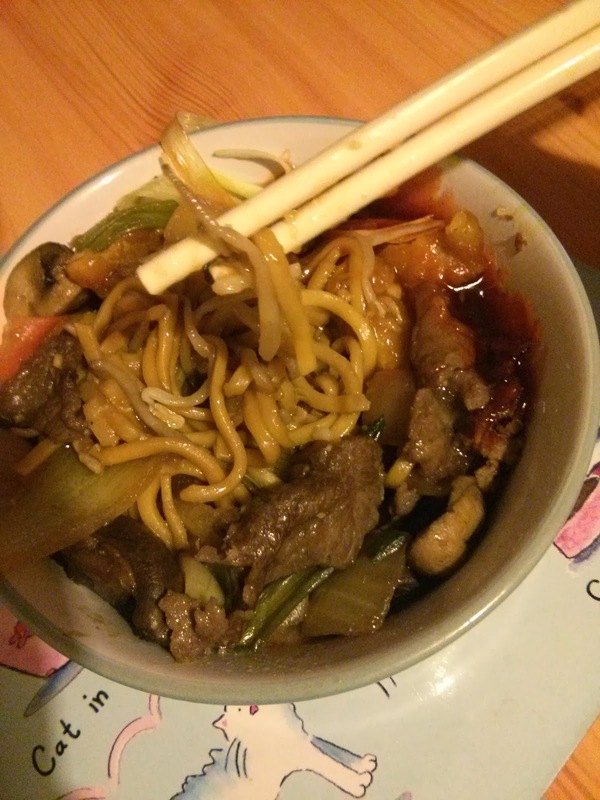 I love celebrating different cultures and as hungryhouse pointed out when they offered me a Chinese to celebrate the Chinese New Year with, if you can celebrate then it's best to do it with food! So, knowing that I couldn't celebrate Chinese New Year, with a Chinese meal on the actual day of Chinese New Year (as from previous experience I've discovered that all the good Chinese restaurants are closed thanks to them celebrating Chinese New Year!) we decided to have Chinese a few days later. We couldn't wait too long though and so after shopping with my Mum on Saturday, Daddy and I placed an order on the hungryhouse website and planned for our Chinese meal to be delivered just in time for me to sit down and eat when I got back. The website was easy to navigate, easy to order from and I loved that I got sent an email telling me that my order was going to be late being delivered by about 15 minutes. It worked out well, as Tops and I got back five minutes after it was delivered. The Chinese might not have been one of the best we'd had (I say it's because the normal Chef was still on holiday!) 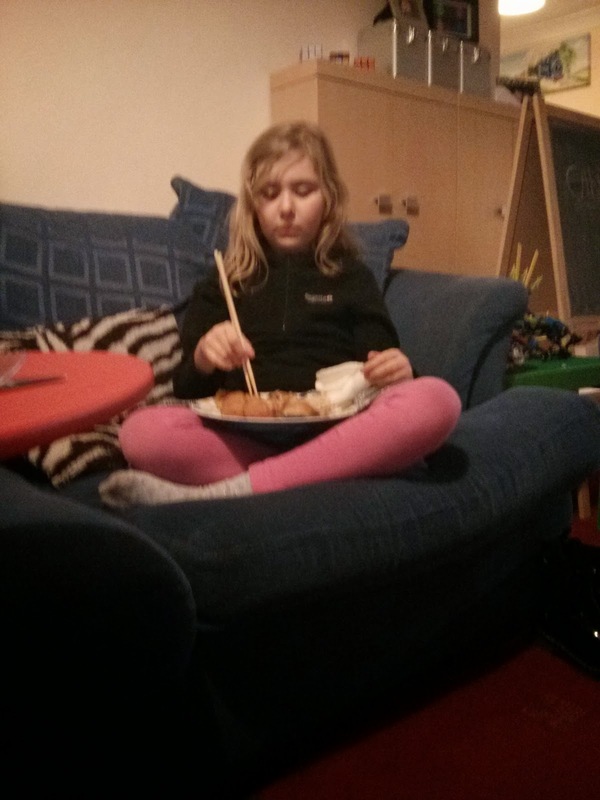 but it was enjoyable and I was amazed to see how brilliant Top Ender was at using Chopsticks, (she has obviously picked up this talent from me as Daddy never uses Chopsticks and I'm pretty sure he doesn't know how) as I say this is the only way to eat a Chinese meal! We rounded off the evening playing a few games and watching some TV and had a very enjoyable night together, planning our next Take Away night. How often do you eat a Take Away and what do you normally go for? If I had my way I'd eat Chinese every time we had a take away and Daddy would have an Indian, or a Kebab and the children would prefer a pizza. Who makes the choices over what take away you have in your house? We were given a voucher to for the take away and for some entertainment. Make A Little Birdhouse For Your Soul!